Home Uncategorized ‘Lessons in Life for Macie – Fertile First Time Student Teacher Biker Erotica’ is out now! 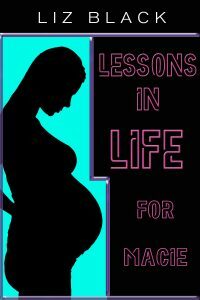 E-book ‘Lessons in Life for Macie – Fertile First Time Student Teacher Biker Erotica’ is out now! The first book I ever wrote on breeding with a true evil villain is here! Tyler has become disillusioned in his job and in the world in general, so he sets out to do what he likes best: impregnating girls. Will Macie fall for his ruse? Biker teacher ‘Shots’ has become disillusioned in his job, until he sees the nubile, unscathed young Macie in his classroom. He has lessons to teach her, rough and unprotected lessons. Macie is more than willing to share her first time with him, even if these lessons go further than any curriculum. Her belly will swell with the biker’s Lessons in Life.